Property 10: True Ski in/out 3 BR/3 Bath Seven Springs townhome for family/group of ten! Property 15: Laurel Highlands - great fishing! Property 17: 1958 South Ridge, AC, Short Walk to Pool & Playground! Free shuttle to slopes! Property 18: 1927 South Ridge, Spacious 4 Bedroom End Unit, Pond view, Short Walk to Pool! Property 19: Stay here for YEAR ROUND family fun! Property 24: Seven Springs Mountain Villas - Ski, Golf and Relax! Property 27: 7 Springs Mt. Villas - Ski, Golf, Relax! Free shuttle to lodge, wifi included !! Property 31: 7 Springs Mt. Villas - Ski, Golf, Relax! Free Shuttle To Lodge, WiFi Included!! Walk to Slopes Fabulous Mountain Home in Hidden Valley! Property 34: Walk to Slopes Fabulous Mountain Home in Hidden Valley! Property 35: Spacious Seven Springs Townhome. Sleeps 10. Minutes from the slopes. Property 37: 1839 Eagles Ridge, Newly remodeled, Wifi! Short walk to the pool, playground! 1515 Tailor, Short Walk to Slopes, Close to Pool and Playground! Property 39: 1515 Tailor, Short Walk to Slopes, Close to Pool and Playground! SPECIAL SPRING RATES!!! Your Hidden Valley Home Away From Home! 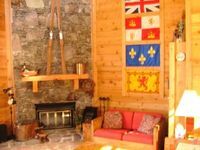 Property 40: SPECIAL SPRING RATES!!! Your Hidden Valley Home Away From Home! Property 43: Beautiful Town house with great view. Message us for special rates. Great Golf Or Ski Getaway! Walking distance to Both! Property 46: Great Golf Or Ski Getaway! Walking distance to Both! 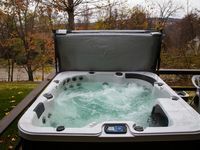 Property 49: TOWNHOME AT 7 SPRINGS IN WOODRIDGE, SLEEPS 8 WITH HOT TUB, AND PETS WELCOME! Property 50: Cozy Southwind Seven Springs Home, Ski-In/Ski-Out! Staying at Casabella was such fun. It had everything needed for a very comfortable stay.